As authors, more often than not, you might find yourself having to submit your article several times to different journals before it is accepted. Not only does this result in a waste of your time and effort, but reviewers might also be asked to review the same article twice; making the publishing process much longer. Our latest improvement to the manuscript submission process is a complimentary Article Transfer Service (ATS) which has been introduced for Pharma Sciences, Physics and Immunology journals. ATS is designed to not only to reduce the risk of reviewers receiving the same manuscript twice but to also save author's valuable time and effort when submitting their research. The service is available to authors, who have not been successful in their original submission, but whose research may be more appropriate in another Elsevier journal. 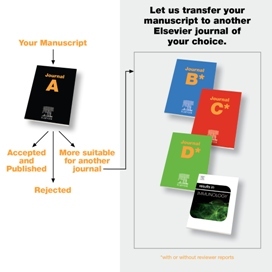 The ATS works by authors selecting a relevant journal whereby our experienced Elsevier Managing Editor will make the transfer of their manuscript without the need for the author to reformat or resubmit. If the manuscript has been sent out for peer review, the reviewer reports will also be included in the transfer, hence minimising the risk of reviewers seeing the same manuscript twice. Authors will, of course, be able to adjust their covering letter to address any of the previous reviewer's concerns and to enable a fair assessment by the next editor. The transfer service does not guarantee automatic acceptance in the new journal, it is a service which eliminates the need for authors to resubmit and allows editors to use the reviewer reports to decide if further peer review is needed. Ultimately enable authors to publish in a journal which will maximise the impact of their research. "An interesting update, I can't think why publishers didn't think of this before! "- Editor of a participating journal. For more information about the service click here. 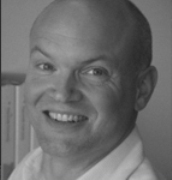 J ohn Lardee joined Elsevier in 1995 and is a Senior project manager in Strategy & Journal Services department within S&T Journals.